TagLand is a well designed Blogger template, It is also very organized and it's fast loading as well. Amazing for showing media content such as videos and pictures. 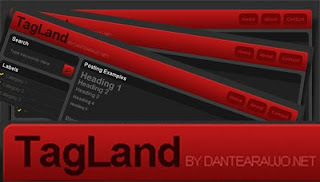 The dark colors gives TagLand a serious looking which can be used to corporate blogging as well.